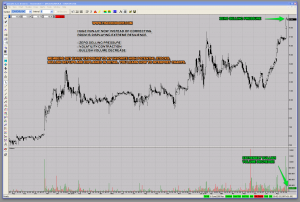 This small cap next generation software technology stock was recently highlighted as a High Potential Stock for members. RDCM – Radcom announced a profitable quarter and was chosen by AT&T to transform and modernize its network. The company specializes in NFV – Network Functions Virtualization. Explained in simple terms, it means the need for new hardware is reduced. Existing hardware is replaced by software running in the cloud. A huge shift towards next-generation Software-Centric Networks and SDN – Software-Defined Networking is underway. I expect more big telecommunication companies to upgrade their wireless and broadband network infrastructure. 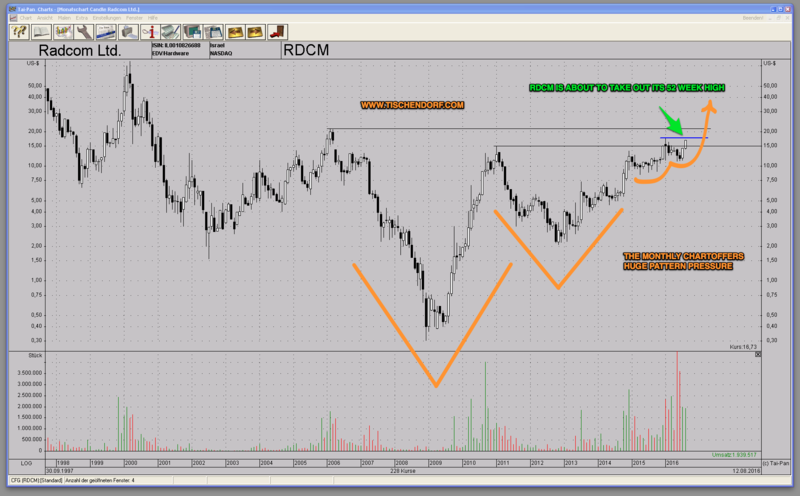 RDCM – Radcom is now profitable, offers huge long-term pattern pressure. The monthly chart looks bullish and the stock is on the verge of being discovered by bigger players. If more contracts similar to the one announced with T – AT&T materialize, big institutional money will quickly discover the stock. 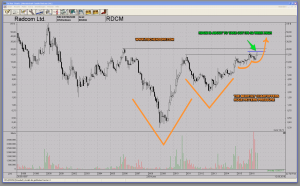 RDCM – Radcom might very well be a big winner in the making. Members are positioned accordingly.